The SQL2RSS script is used to create RSS feeds from MySQL databases. Need business cards? 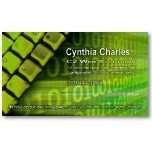 These customizable business card designs are affordable and professional looking. Great RSS Logos and Icons for feeds and podcasts. Check out the HUGE collection of RSS Tools. 05/21/2012 Need a Domain Name? 05/17/2012 Need Sound Effects for Your Podcast? If you are in need of sound effects for your podcast have a look at Digital Sound Effects. Individual sound effects are available for only $1.99 or 5 packs are available for $4.99.